FROM THE LION'S DEN, Volume 03, Issue 01. As we close upon the first nine weeks, things are picking up speed rapidly! We have added new students, new staff, and new volunteers this year. Over the next few weeks, you will be receiving weekly updates about some of the changes we have made. Highlighting each one of them in this edition would not do each change justice. Just to give you a taste of some of the changes, we have added a reading specialist to our staff, every 10th, 11th, and 12th grader has two periods of carpentry class, we got a new bus, renovated three classrooms and the athletic facility, our two seniors are dual-enrolled at MVSU, we have a new athletic director who is the head coach in football, basketball, and track, we will start a soccer program in November, and more! Please continue to pray for our students and staff. One weakness that is a reality for our students is a major lack of motivation to excel in their academics. We only had one student at progress report that had all A's. At least half of our students could have A's and B's but they are just not putting in the work. So please continue to pray for our students and their desire to pursue excellence. I cannot thank you enough for taking the time to read and support what we are doing here in the Delta! 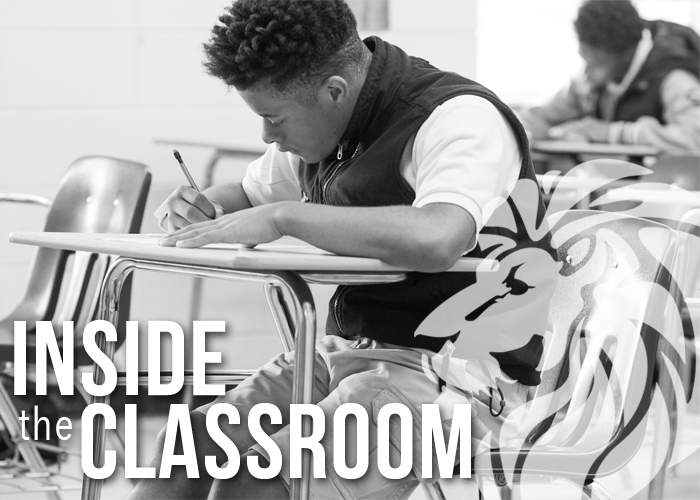 In recent years James Cheatham taught Bible Class at Delta Streets, but this year he has taken on the role as Athletic Director. Originally from Rolling Fork, MS James has lived in Olive Branch, MS, Texas, and Florida. James and his wife, Alicia, have four kids: Lucy, James Andrew, Mary Anna, and Mary Alice. The Cheatham’s came to Greenwood a little over 3 years ago when Coach Cheatham took a job with First Baptist Church as a full-time student pastor. Now, as Athletic Director, he coaches football, basketball, track & field – all sports he has past experience coaching. You can also still find him in the classroom teaching 7th and 8th grade science, as well as assisting Mr. Green in shop class. 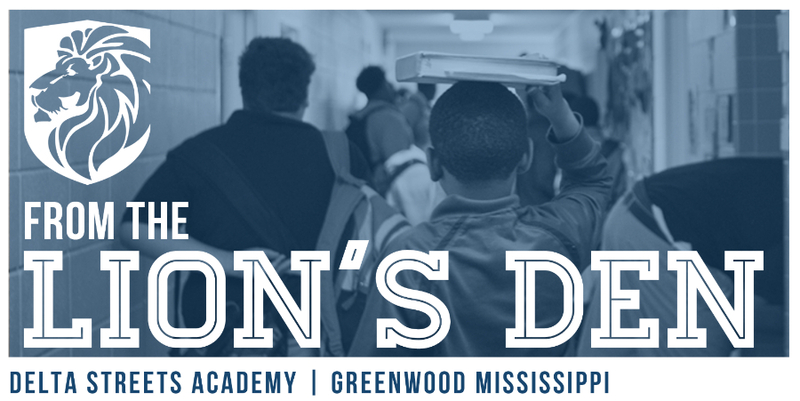 This year we are excited to introduce a new Carpentry class at Delta Streets Academy. The goal of Carpentry class, taught by Mr. Green with assistance from Coach Cheatham, is to teach students building trade skills. “We hope some of the students will discover that this is their area,” says Mr. Green, “while others may have nothing to do with it, at least they’ve learned some mechanical skills and how to use their hands.” The first project they worked on was building their own saw horses. From there students have constructed book shelves for their classrooms, cabinets for the locker rooms, and built frames for windows and doors. None of this would have been possible without tools donated by Milwaukee Tool and HomeFront Home Improvement Center. Students work with Milwaukee Tool circular saws, cordless drills, and even a miter saw. Thanks to HomeFront, each student has a hammer, nail bag and speed square to use each day in class. We hope to cover more than just the woodworking aspect and would like to have someone come in to talk more about electrical and plumbing. DSA is excited to offer this new class to students, and we hope to see our students thrive after graduation with these new skills. The Delta Streets football team is 7 games in and now beginning district play where we will be on more even ground. Even though we haven't won a game yet, there have been a lot of victories for our players as far as buying into what the coaches have been preaching about a change in mentality, a change in work ethic, and encouraging players to keep going regardless of the scoreboard. In our first season of 11 man football, the biggest challenge has been the number of players needed for that kind of play because we don't have a large team. With 11 players, our guys have seen that it is not that easy to score because the field is not as open as it was in 8 man. Of course we've been hit by the injury book and the behavior book, which has caused players to miss games, but we are getting through it. We're not giving up, trying not to lose heart, and giving it all we've got for these last 3 games. Our First Annual Open-Date Classic was a huge success! We raised $50,000 and amazing support from the Jackson areas. The Clay Shoot was held at Turcotte Shooting Range on Thursday September 21, followed but the drawdown and Silent Auction at the Mississippi Craft Center that night. We held the Golf Scramble the next day at Castlewood Country Club. Thank you to those who participated in the events and our wonderful sponsors who made this all possible! We are already looking forward to next year!